The state of home automation in 2015 is not looking good for many, says Argus Insights. The home automation market, which was gaining attention and experiencing robust growth in 2014, is quickly losing steam. That's one of the biggest takeaways from a report published yesterday by Silicon Valley-based market research firm Argus Insights, which reveals as of May 2015, consumer demand for connected home devices such as thermostats, lightbulbs, locks, sensors and cameras experienced its first drop below the level of a year ago, a sign that consumer interest is stagnating. The study includes consumer review data from the US and the UK, plus global social media data, says John Feland, CEO and founder, Argus Insights. "Based on our review of consumer interest, the state of home automation in 2015 is not looking good for anyone who sells or makes these devices," Feland notes. "Even though Google and Samsung made big purchases in this space by buying Nest thermostats, Dropcam and the suite of SmartThings products, demand is stagnating. "It is obvious the early adopters have bought what they want and other consumers are expressing frustration that these products are complicated and difficult to set up and use," he explains. According to Argus Insights, connected home growth was led by security cameras, but interest in cameras and all other segments is waning. It adds though users are reporting improving satisfaction, consumers are losing interest in major security camera brands. The firm explains security camera users report major issues with speed, performance and connectivity. The persistence of these problems is affecting further consumer adoption, it points out. Argus Insights' analysis of over 12 000 consumer reviews of security cameras from 1 February to 31 May 2015 discloses major negative issues such as persistent problems with reliability as well as trouble with connectivity. Earlier Argus Insights research highlighted that most consumer animosity arose from the frustrating and time-consuming challenges of connecting these devices to the home WiFi network. According to the consumer responses, the reliability problems associated with security cameras led to higher returns than expected. 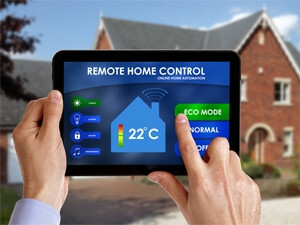 As new customers investigate their options and find products that are difficult to set up and fail after just a few days of operation, much of the market is passing on purchasing new connected home devices this year, says Feland. These issues impact even the most popular smart security cameras, as represented by major brands such as Dropcam, DLink, Netgear, Foscam and Tenvis, he notes, adding demand for these products has dropped drastically over 2014. Social conversation about the Internet of things is led by discussion of wearables, while there is little talk or excitement surrounding developments in home automation, Argus Insights notes. "Consumers are not seeing the value yet from these home automation devices," says Feland. "There is a lot of confusion about standards with Google introducing Brillo and Apple's new HomeKit. Add in WiFi, Bluetooth, Zigbee and Z-Wave and there is a lot for any consumer to grapple with during installation. "Until things become easier and consumers don't have to cobble together a total solution, I believe we will continue to see this stagnation continuing for the rest or 2015 unless a new offering addresses these issues and revitalises the market." To encourage mainstream adoption, Feland says home automation companies must focus on utility and ease of use. "The first five minutes of use are critical to bait and hook the consumer, so simple installation is a must. Currently, the Internet of things is filled with innovation for the sake of it - if technological advances are developed in accordance with accurately fulfilling specific consumer needs, people will want to buy it."